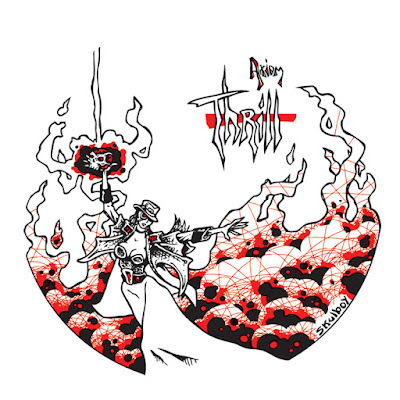 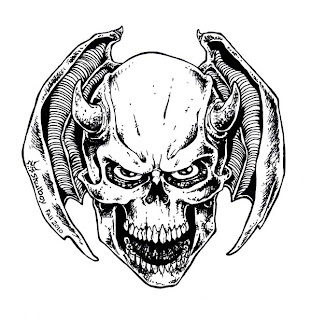 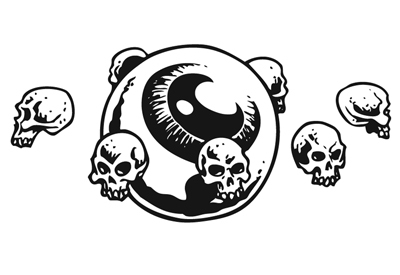 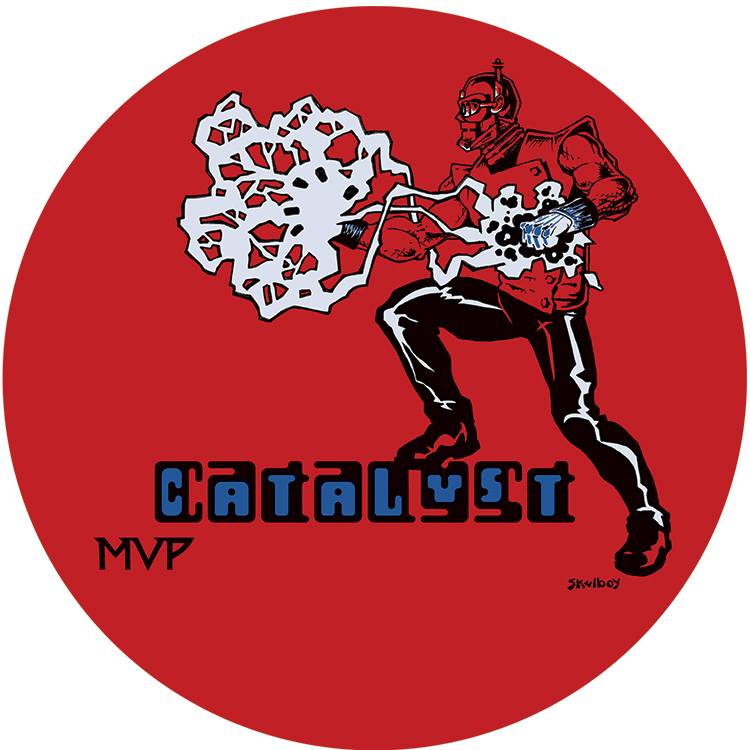 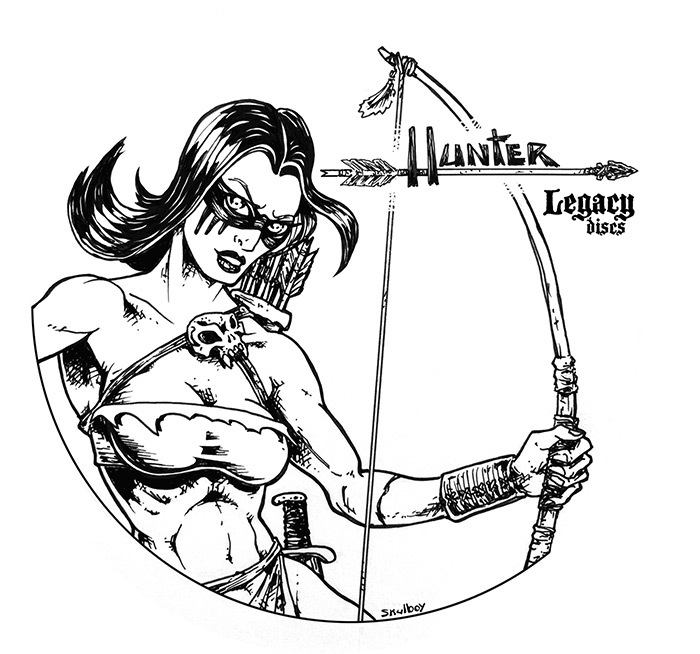 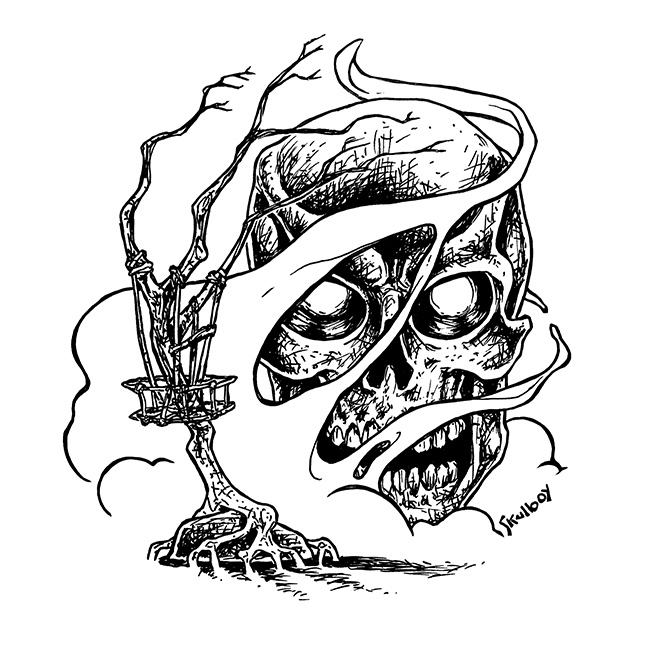 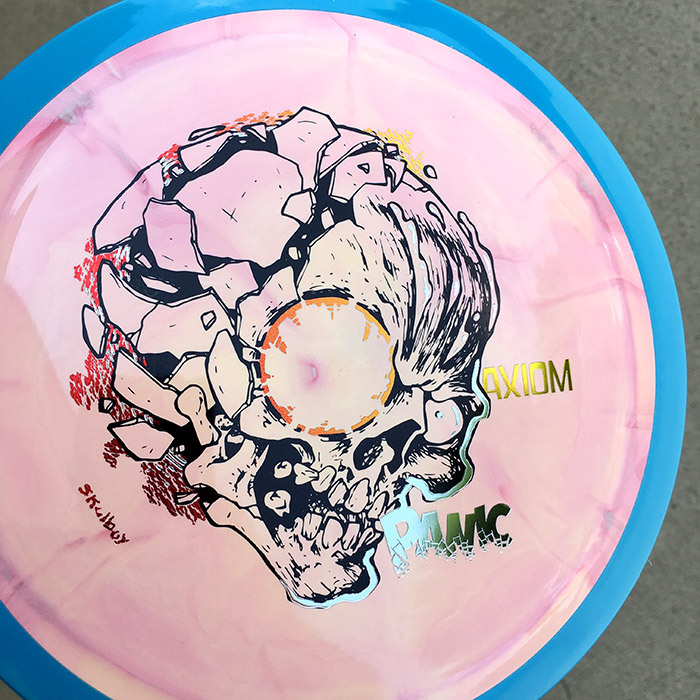 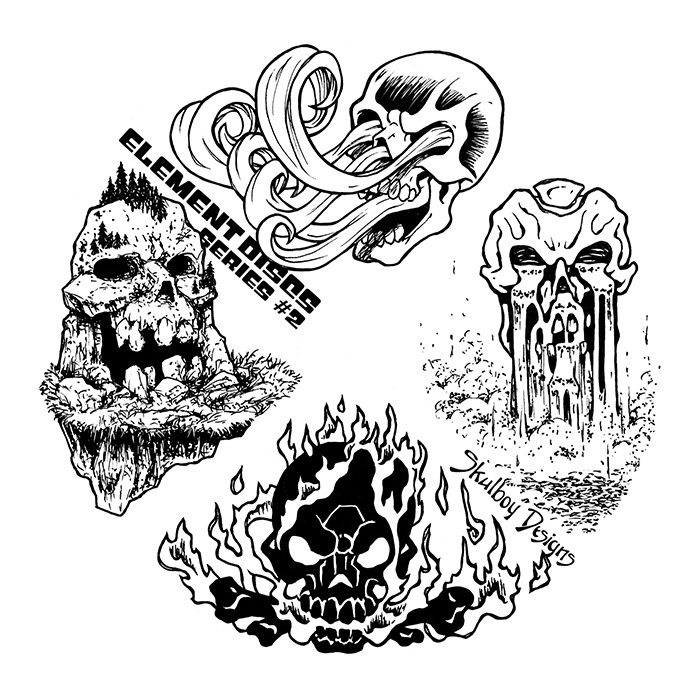 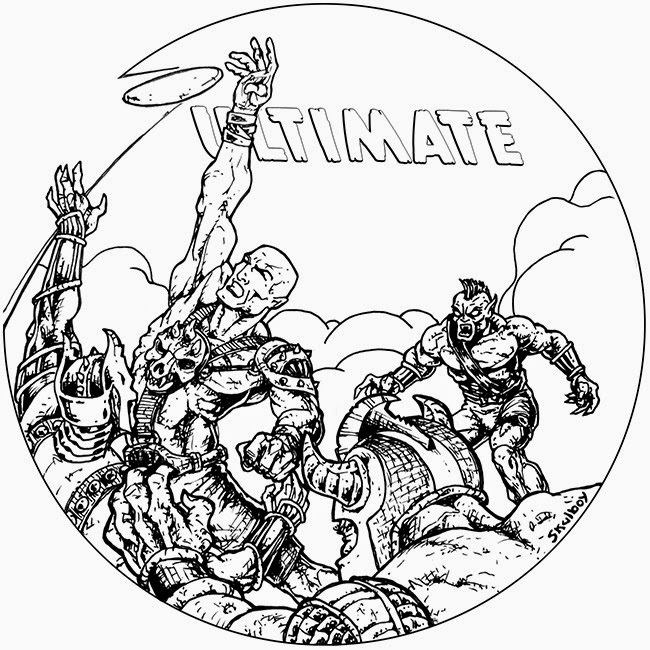 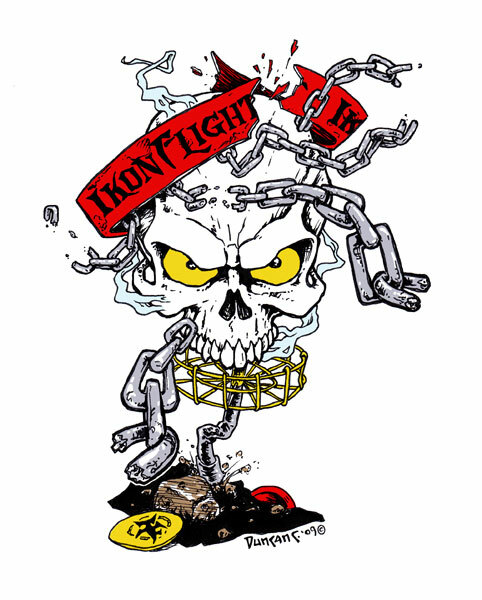 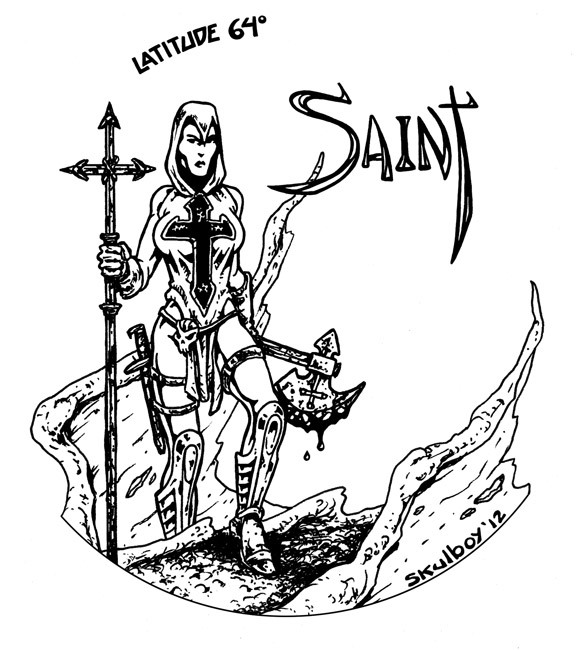 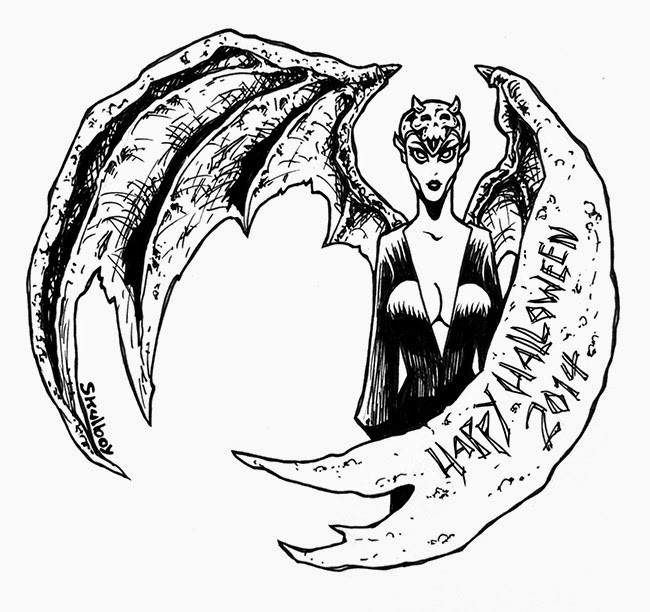 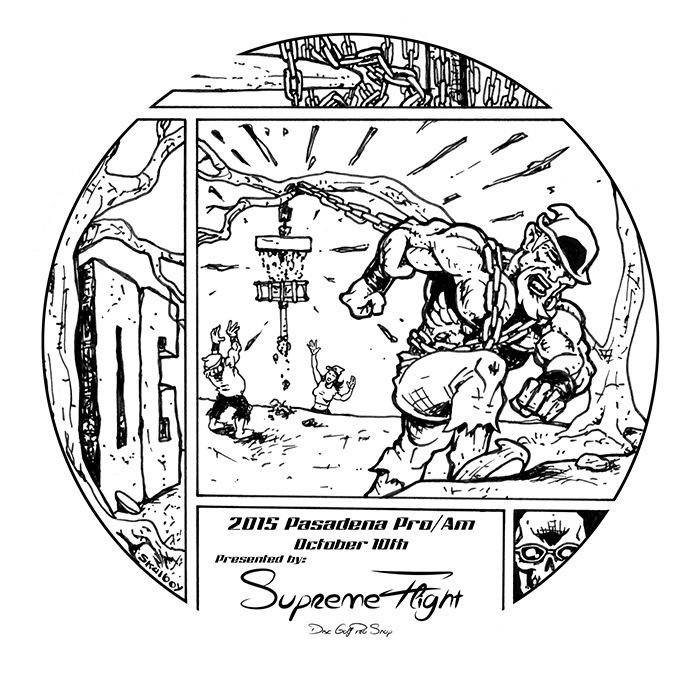 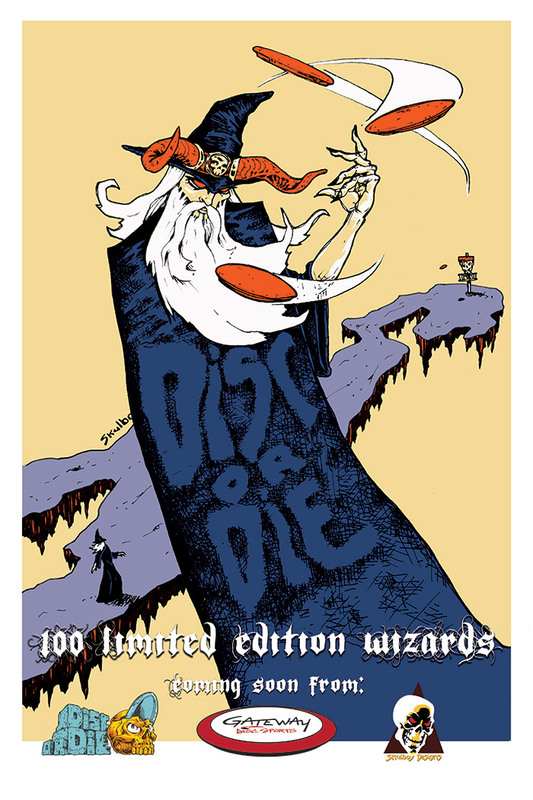 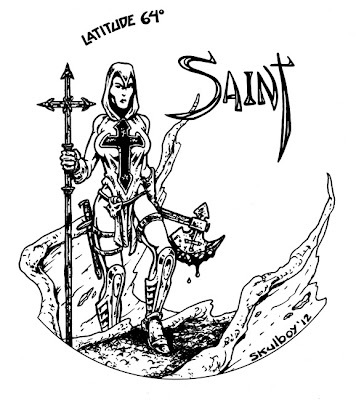 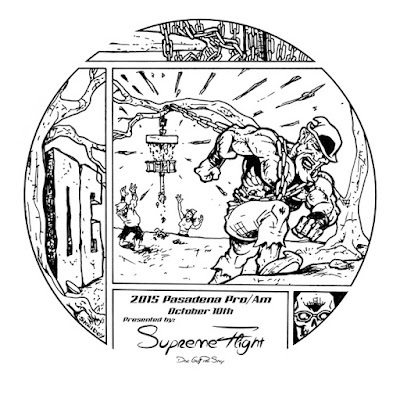 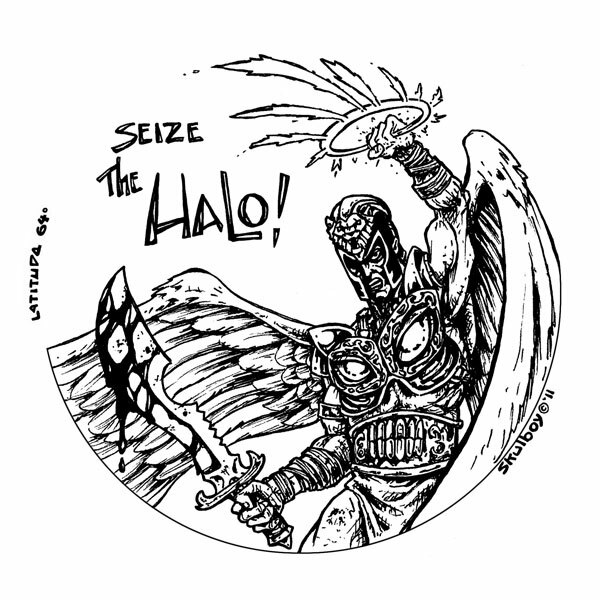 The color version for the tournament fundraiser disc. 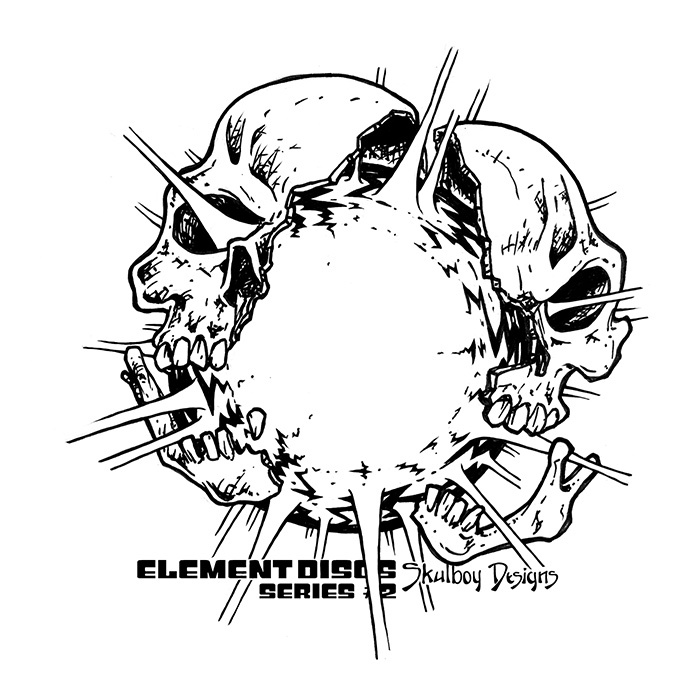 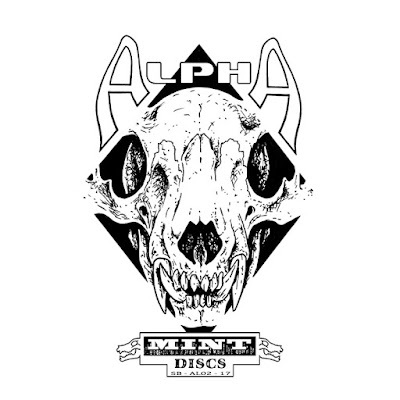 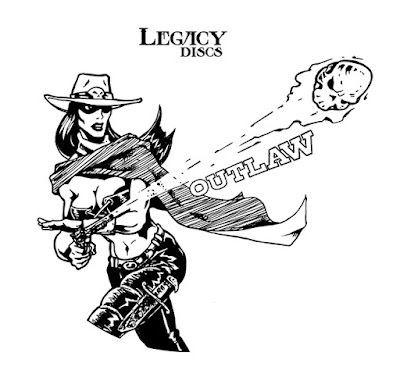 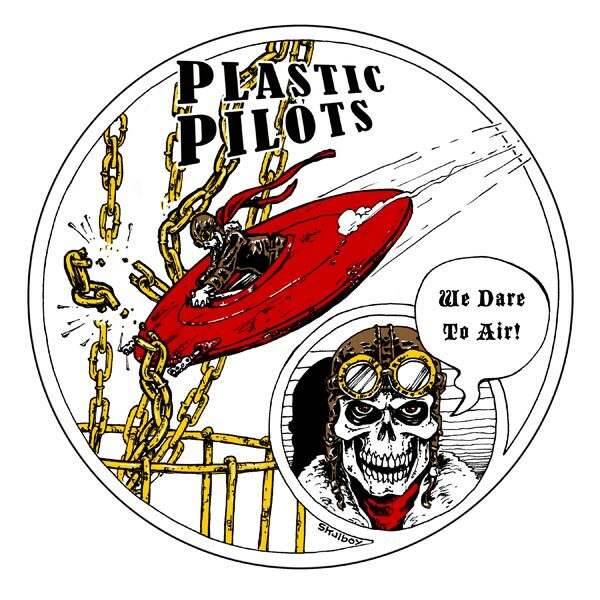 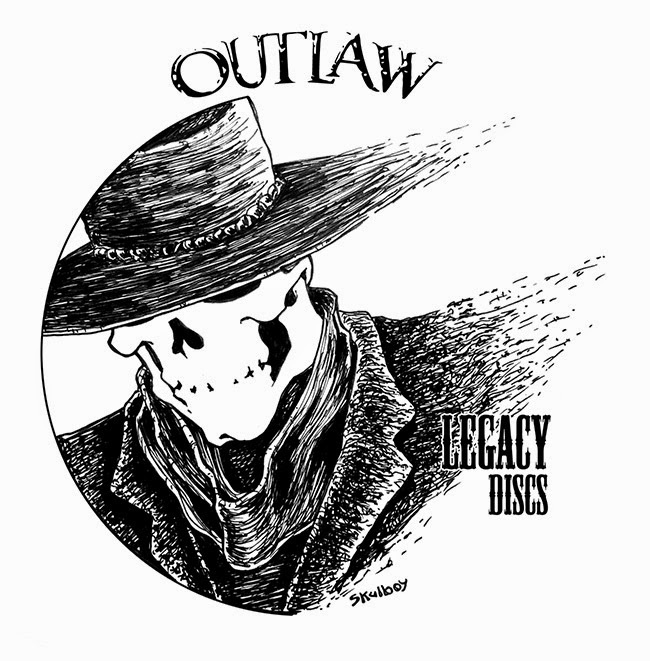 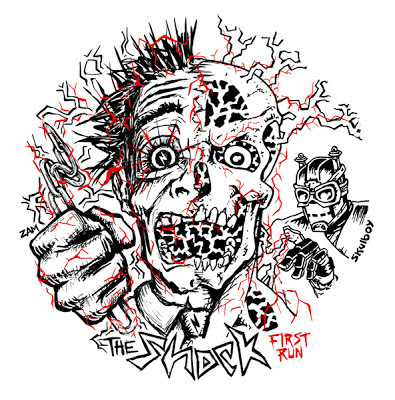 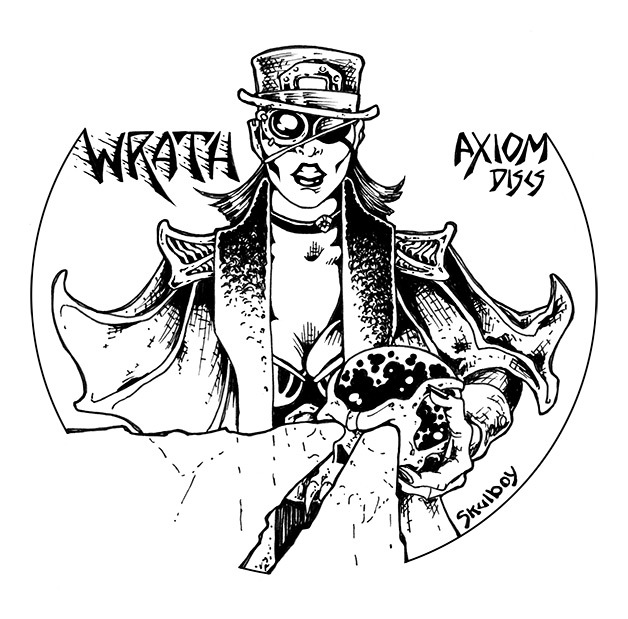 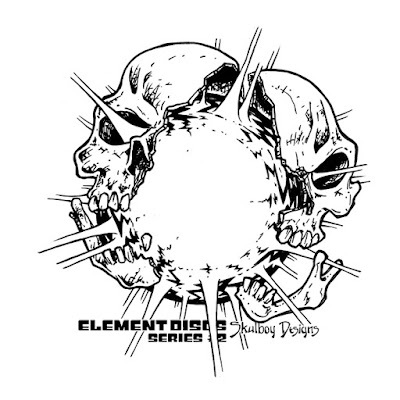 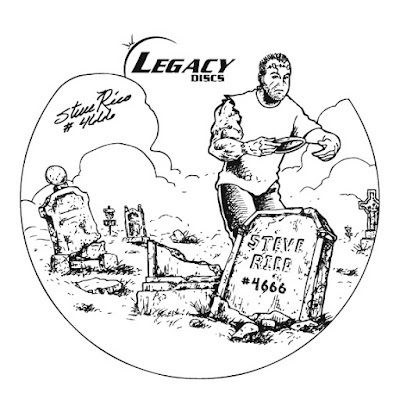 The first in an artist series of stamped discs. I think the description kind of says it all. 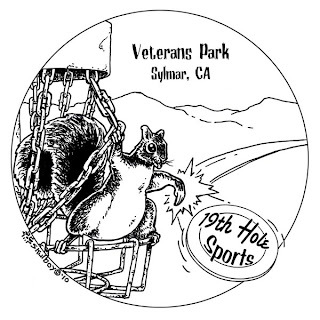 The Sylmar course has a chubby, bold squirrel notorious for stealing candy bars out of the 19th Hole Pro Shop. 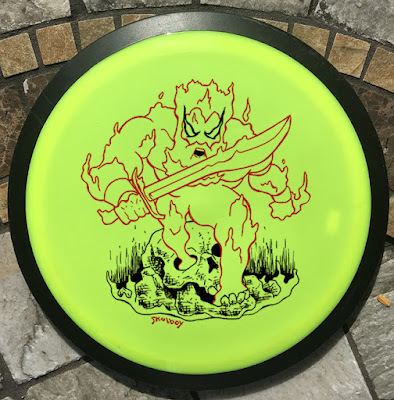 Commissioned by a group of players based out of the El Dorado course in Long Beach, CA. 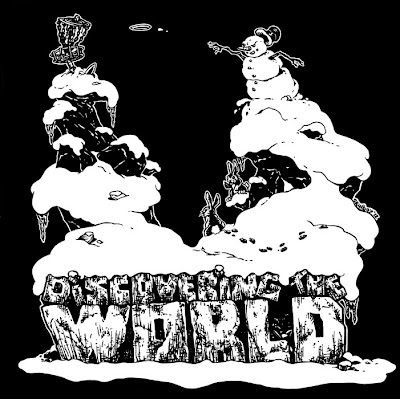 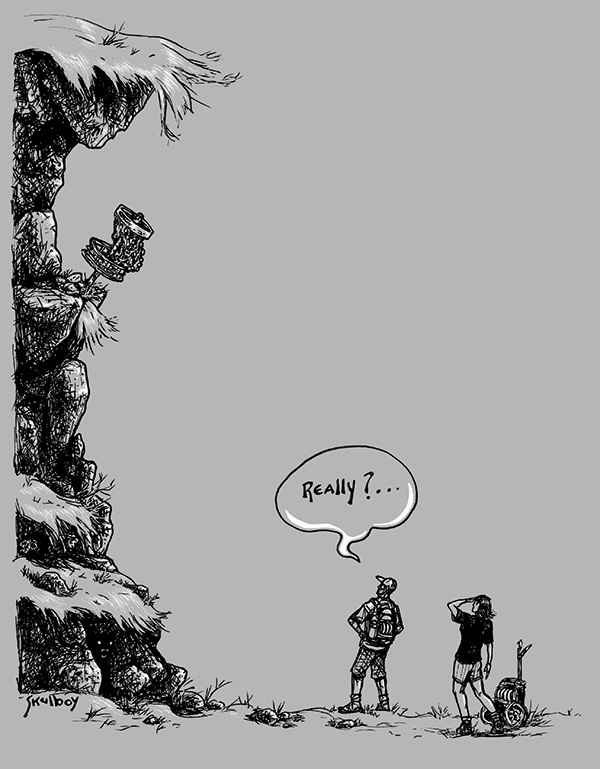 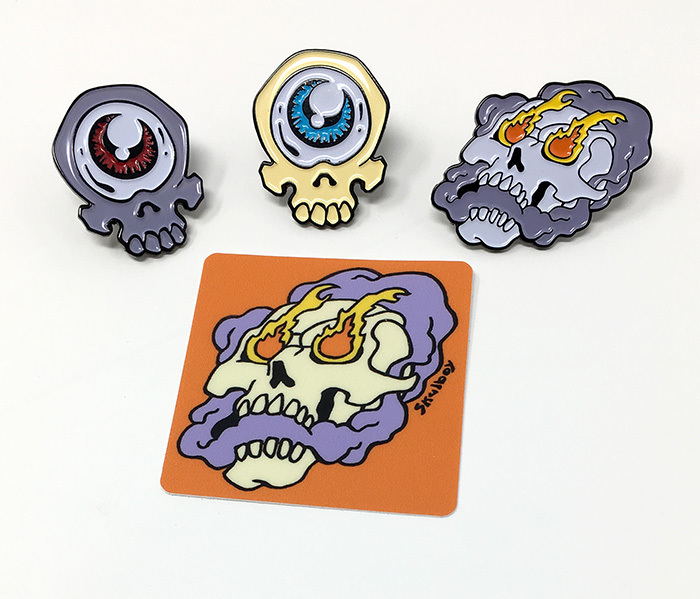 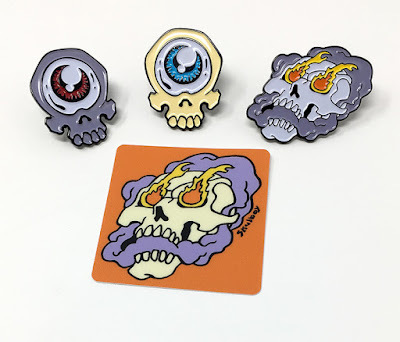 This is the one that started it all. 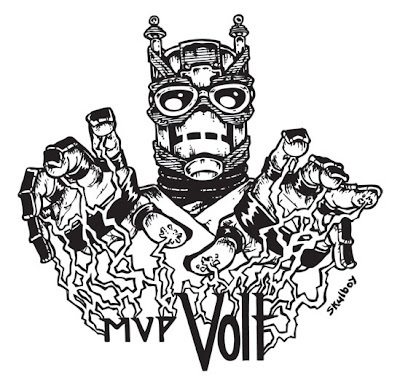 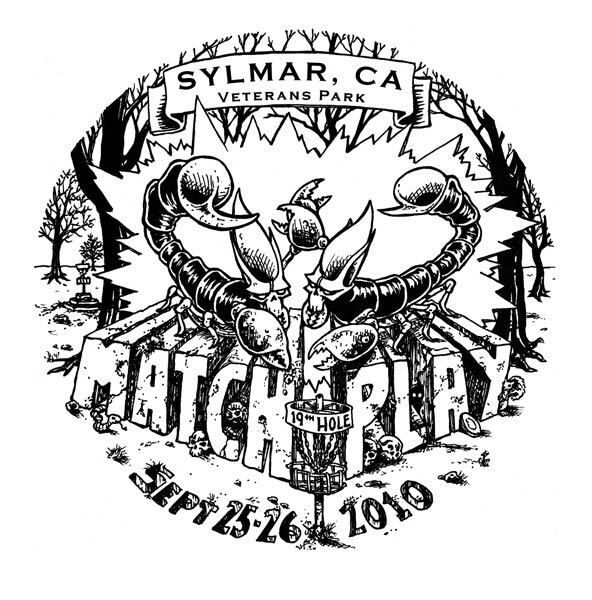 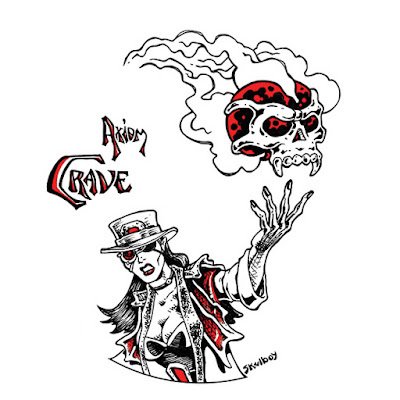 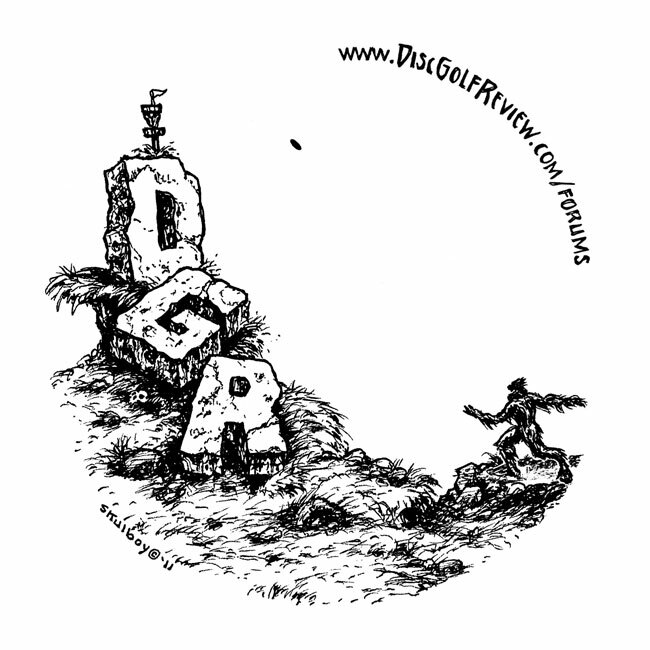 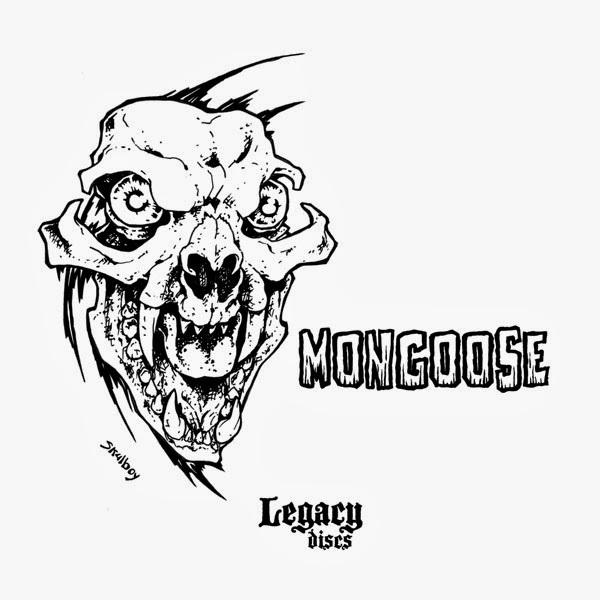 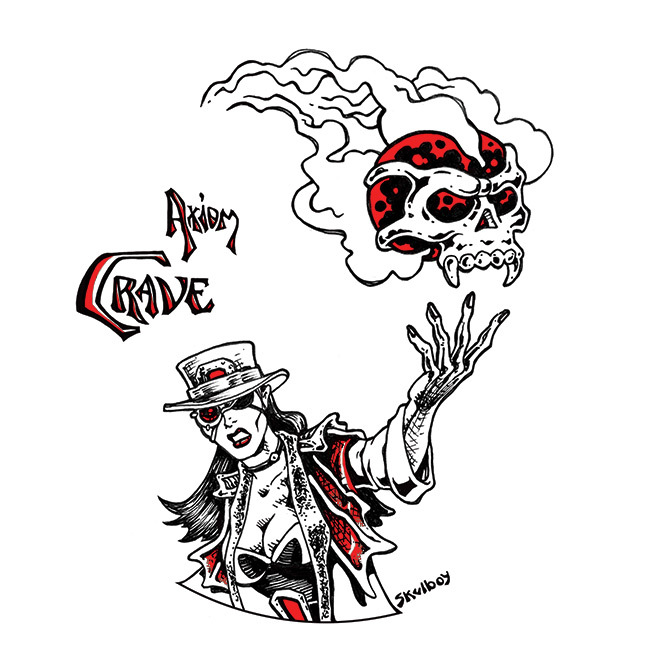 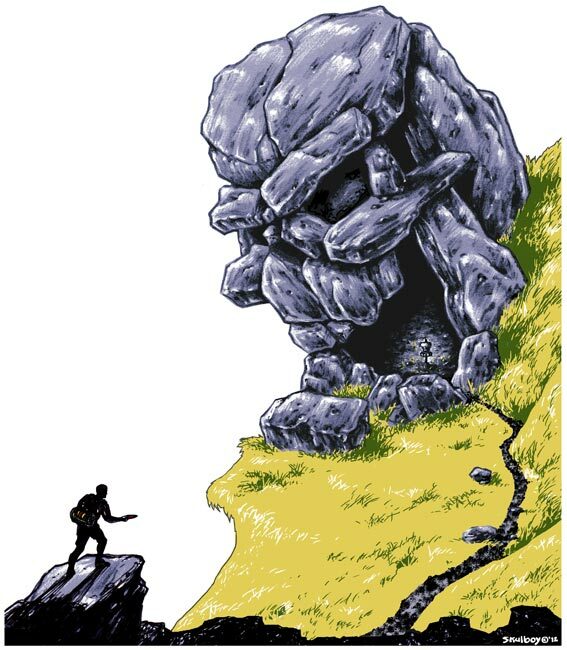 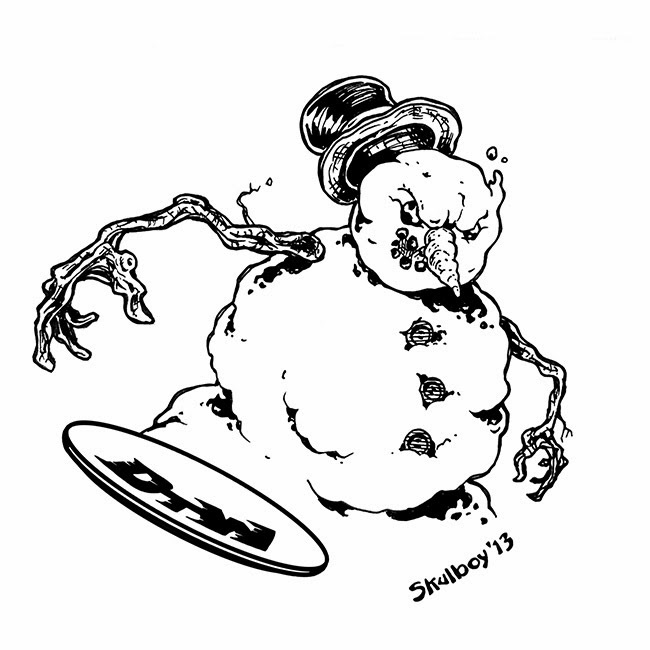 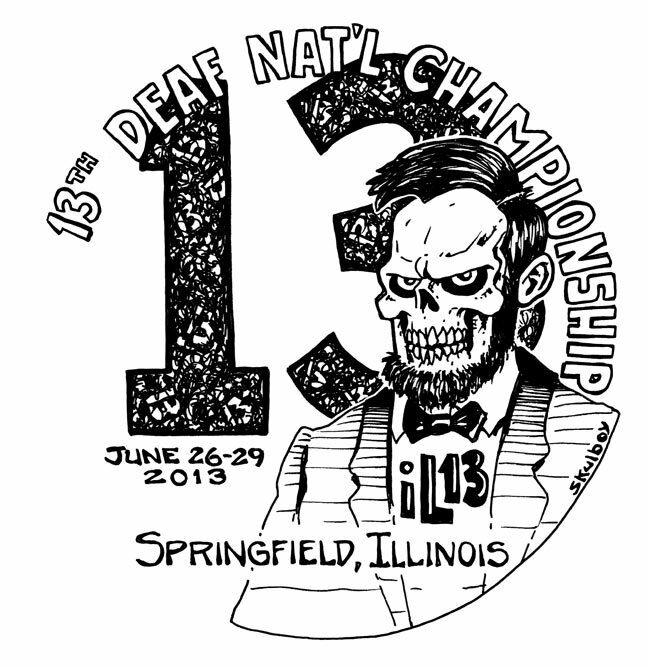 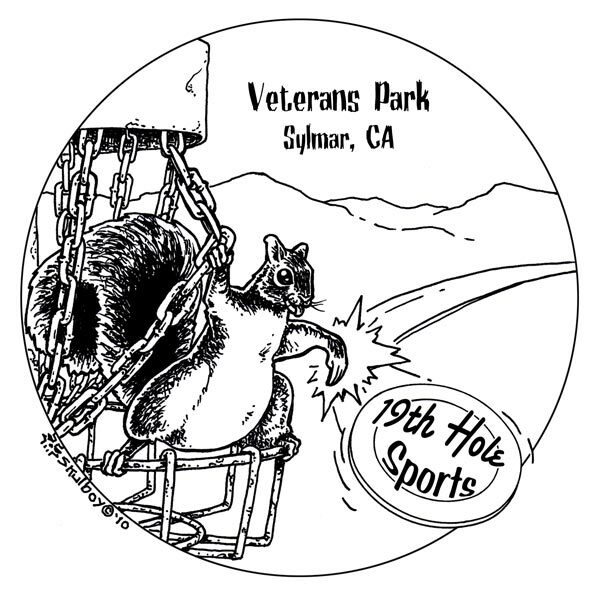 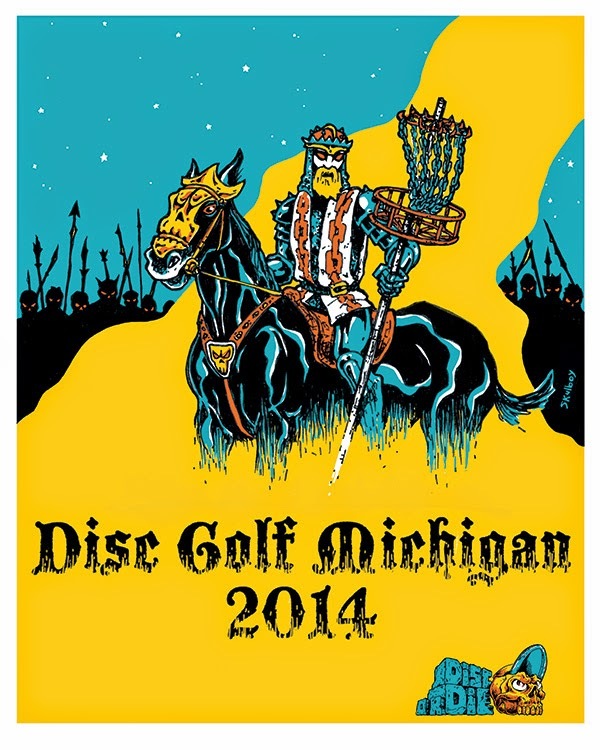 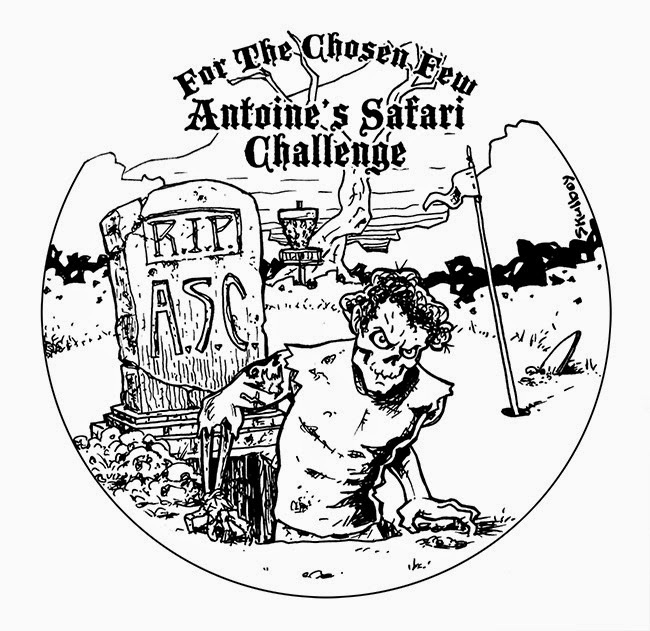 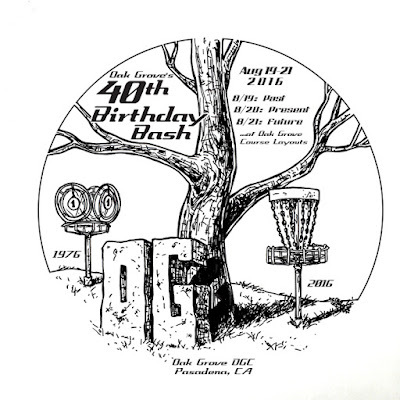 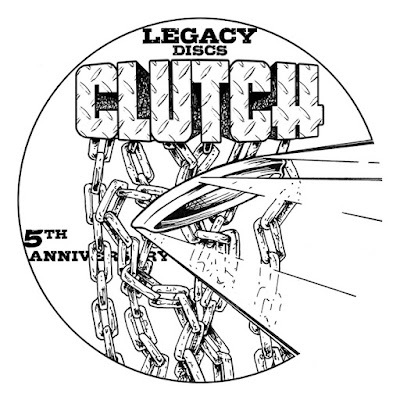 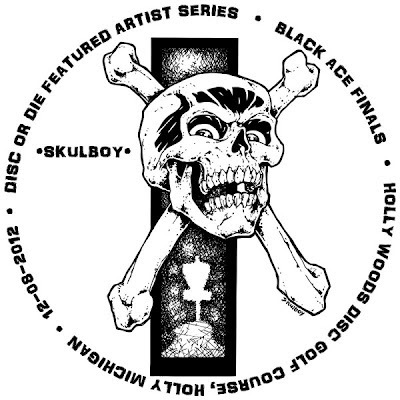 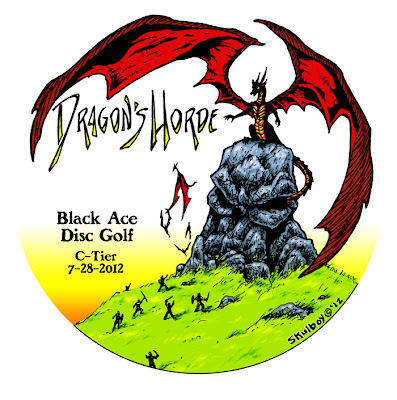 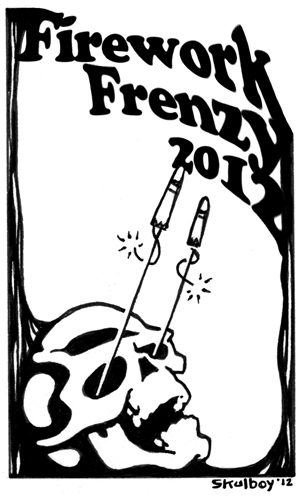 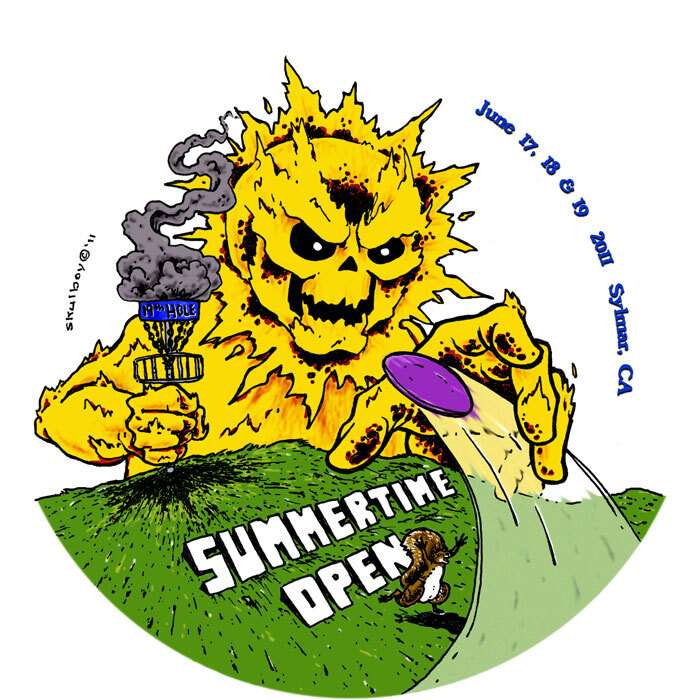 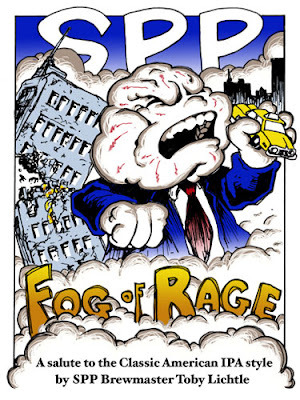 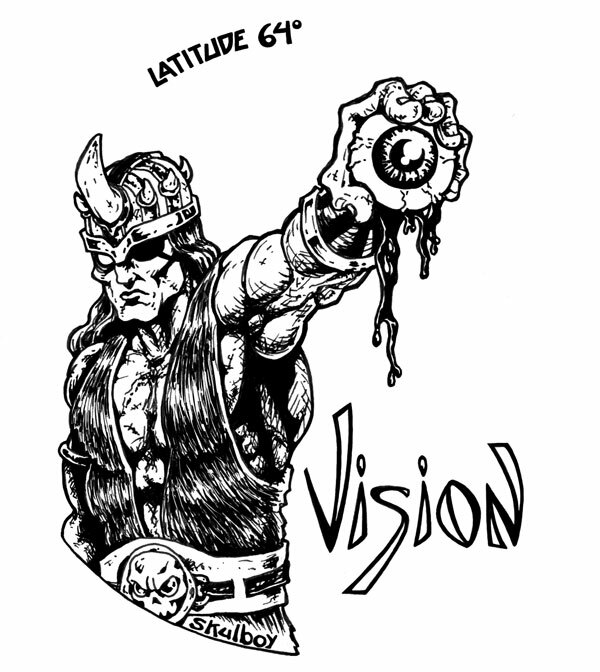 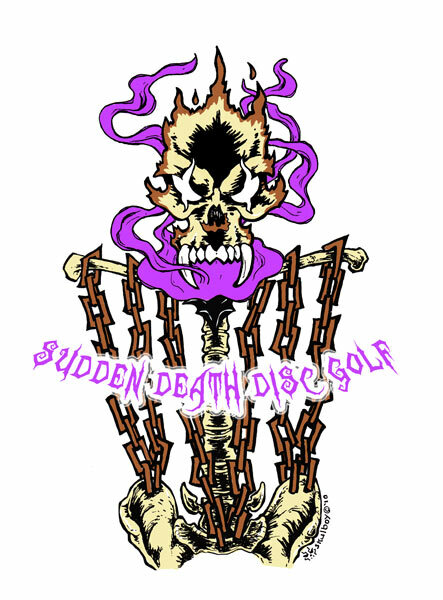 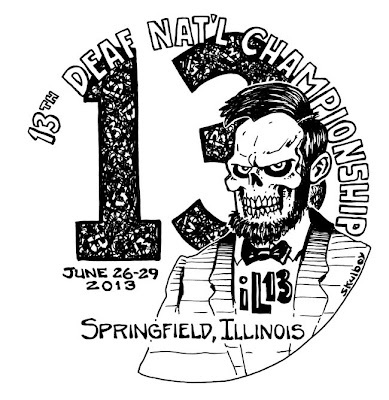 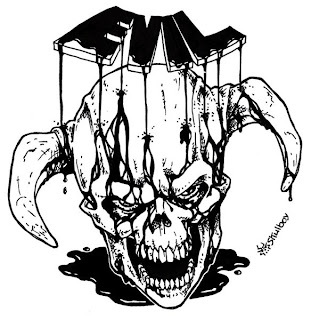 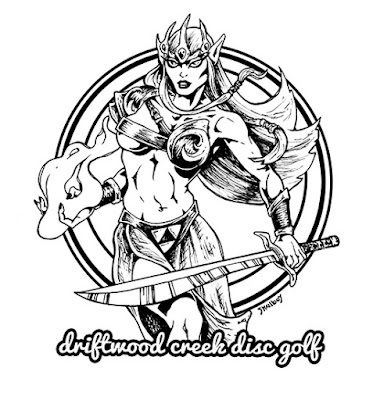 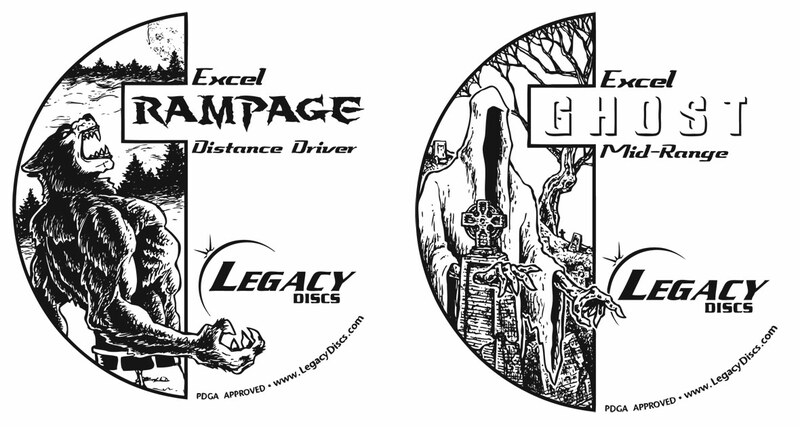 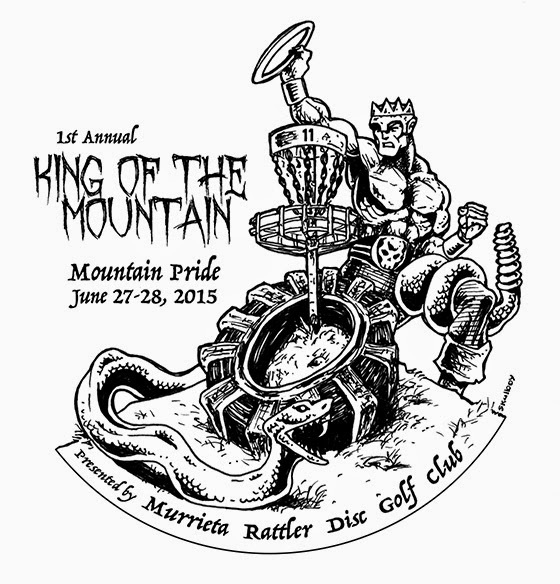 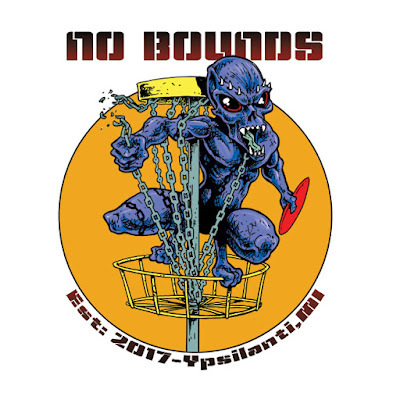 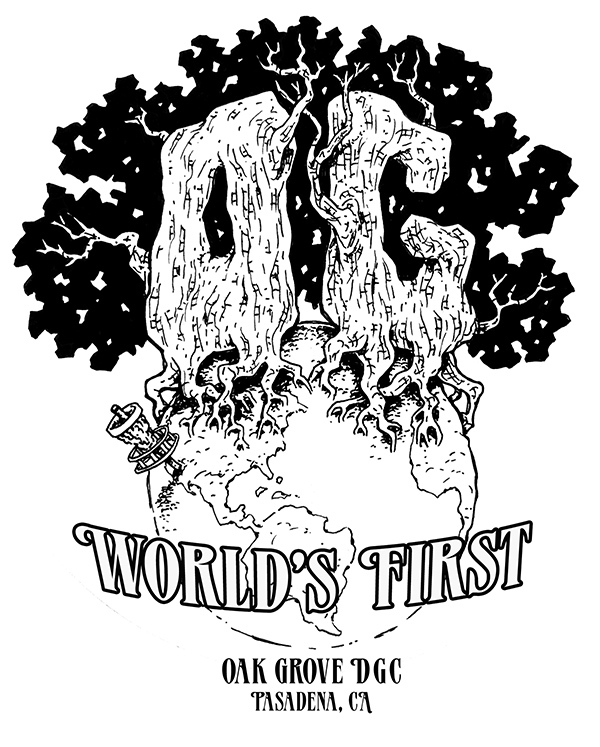 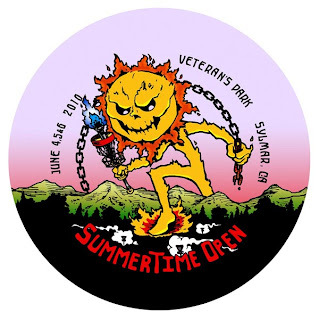 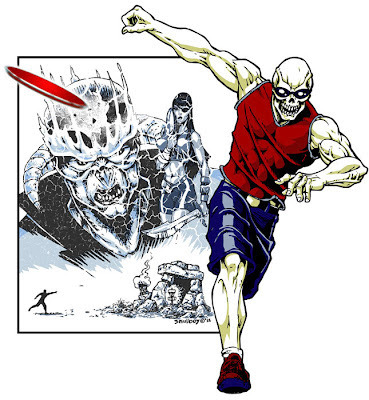 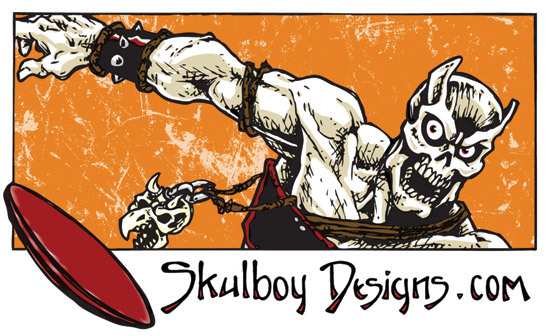 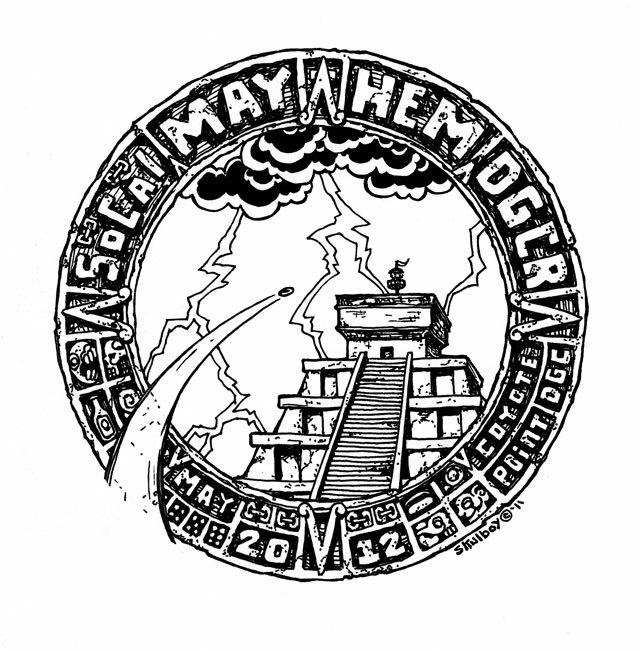 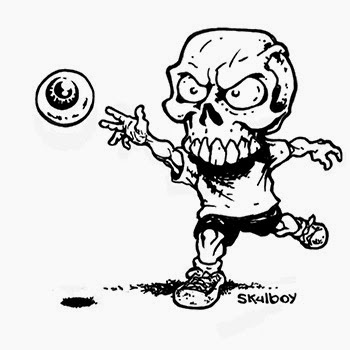 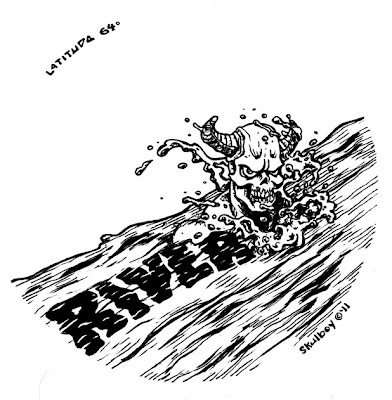 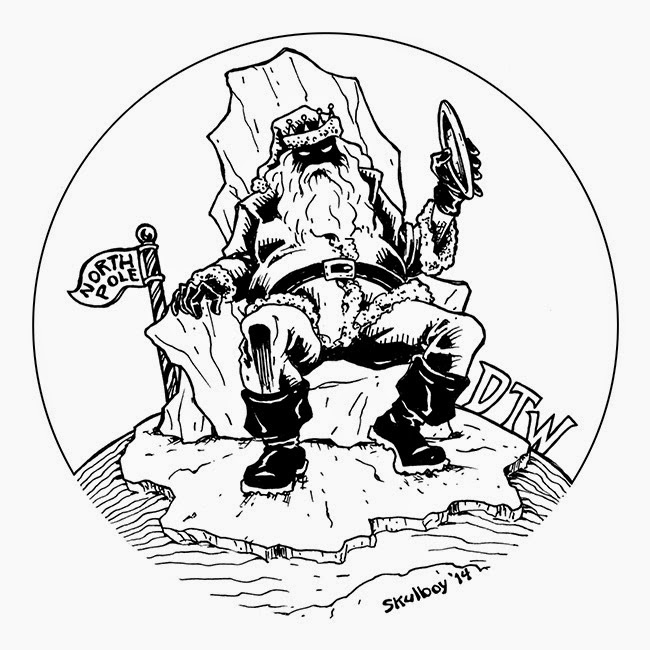 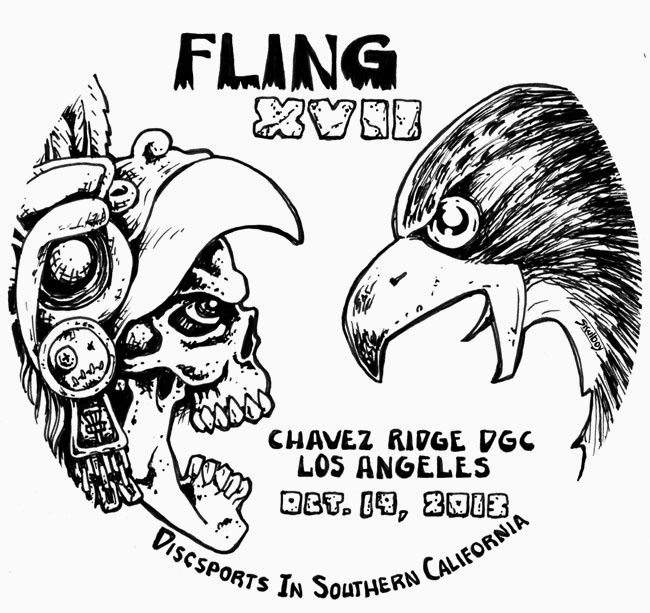 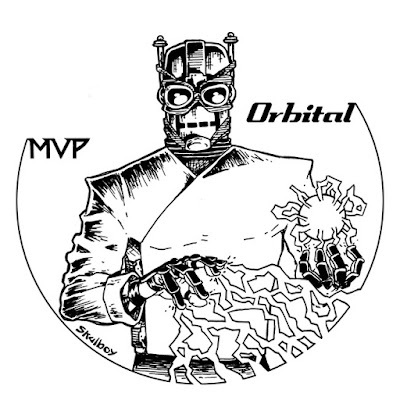 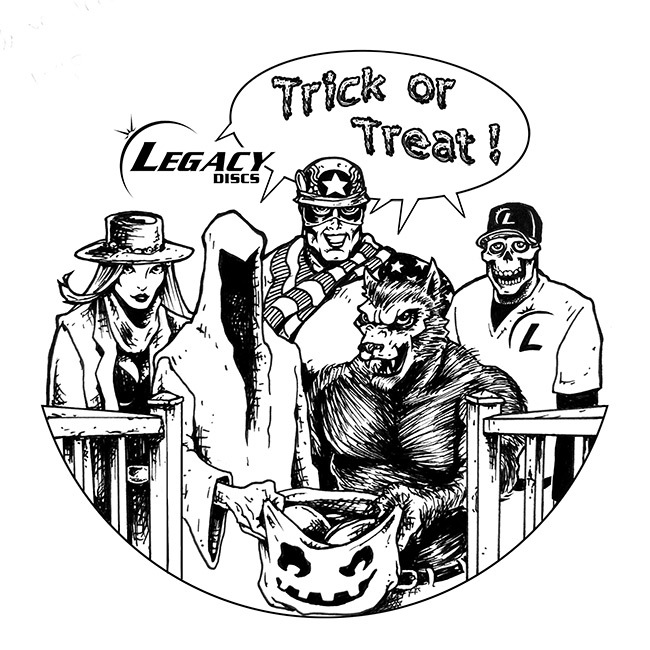 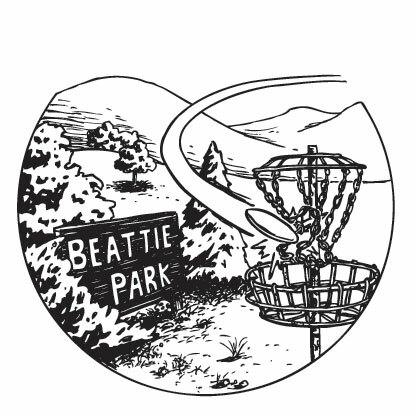 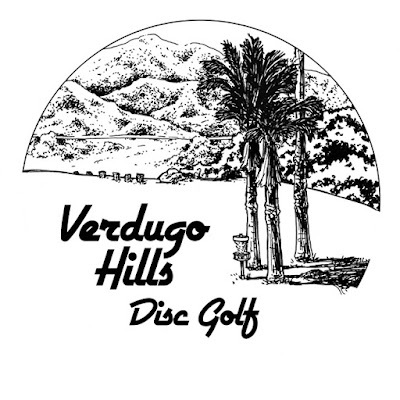 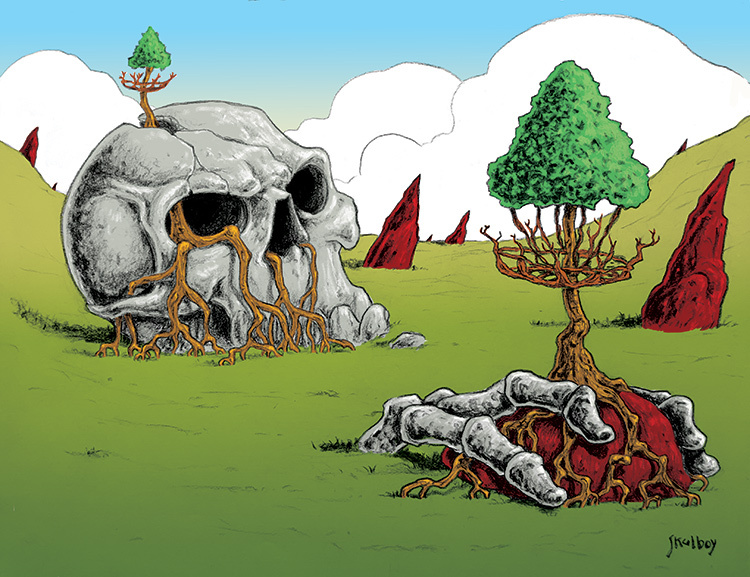 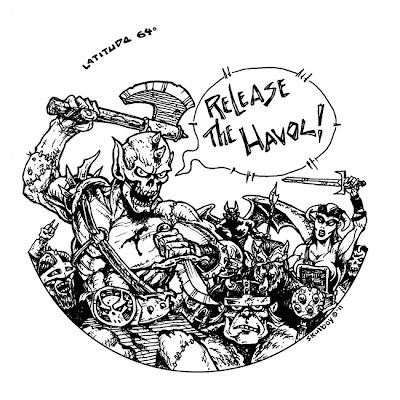 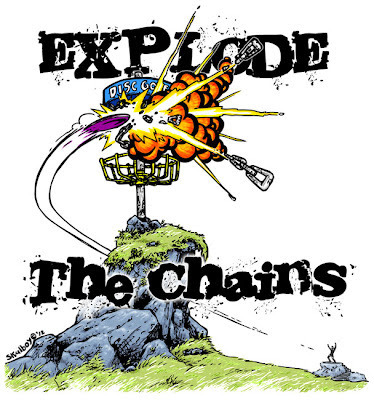 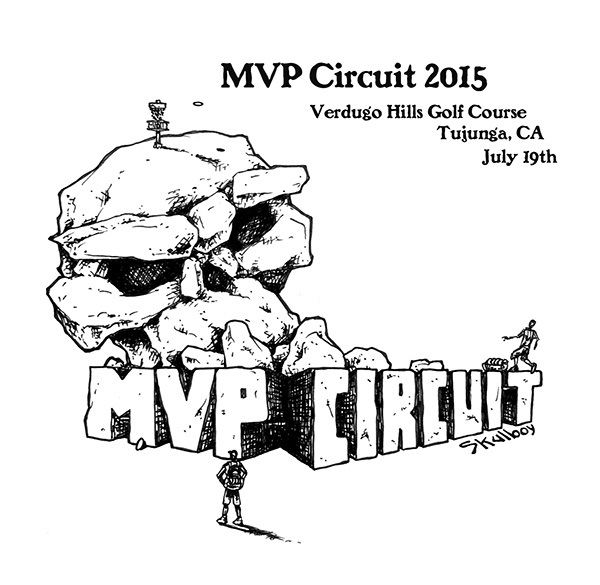 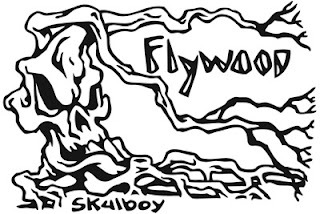 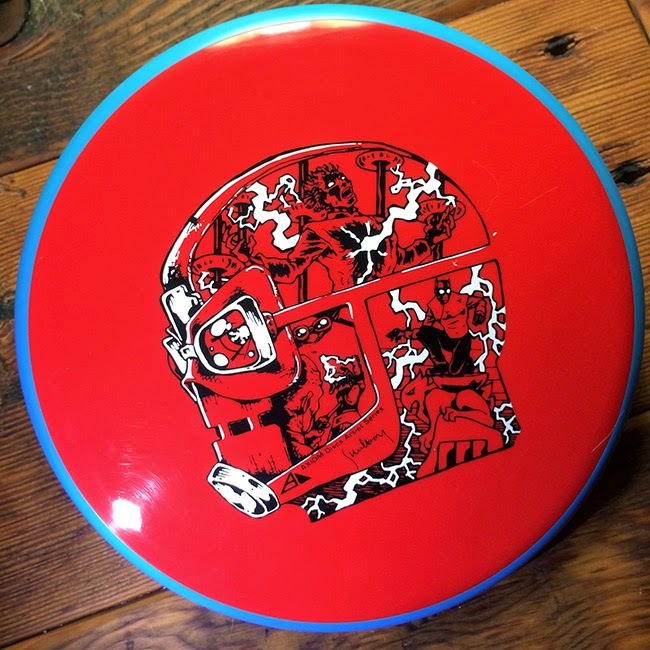 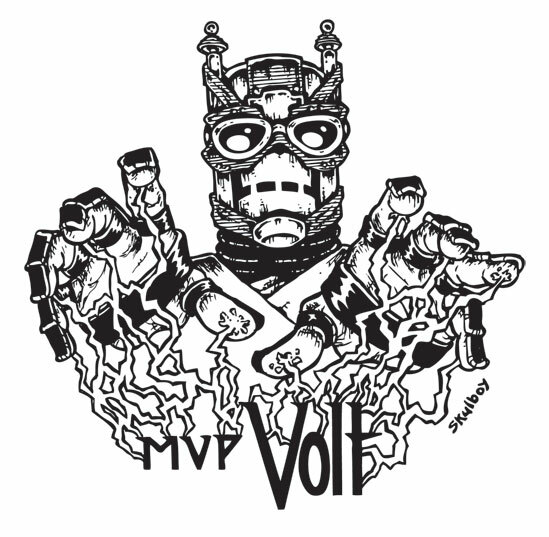 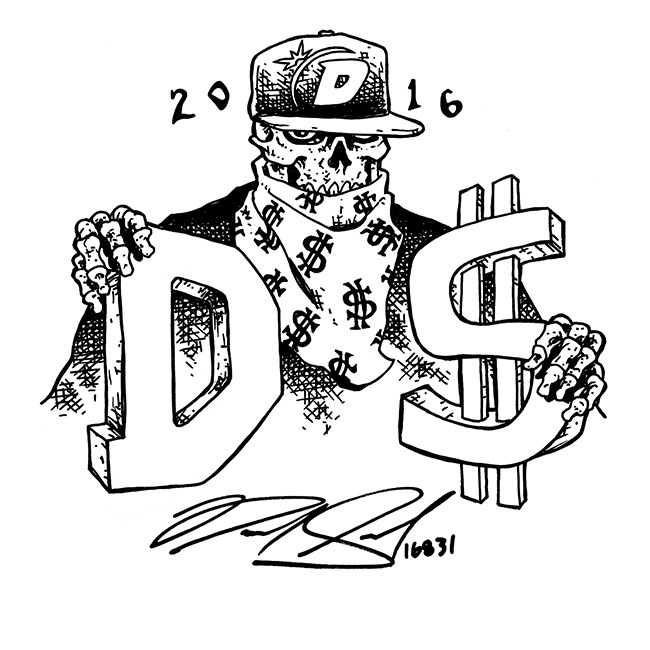 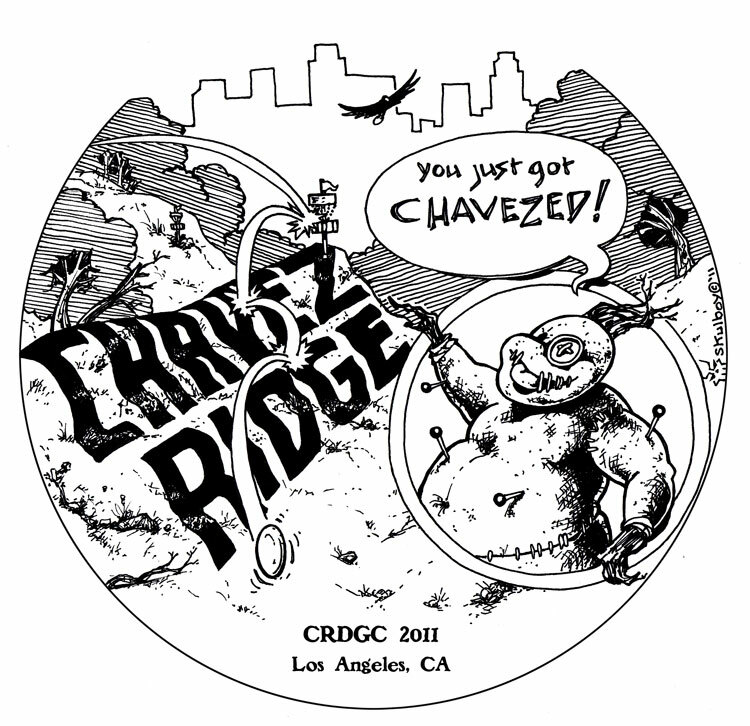 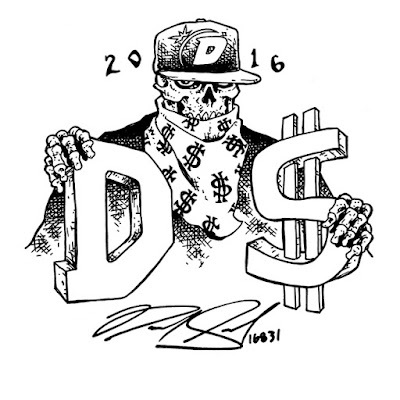 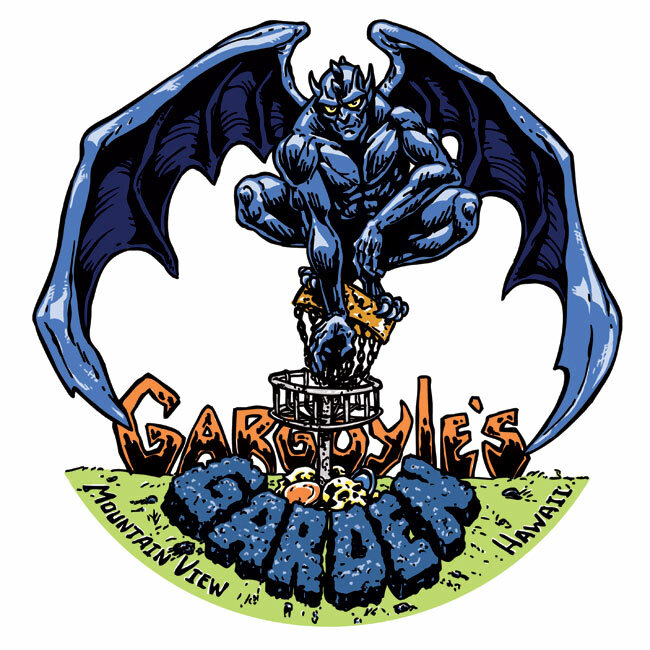 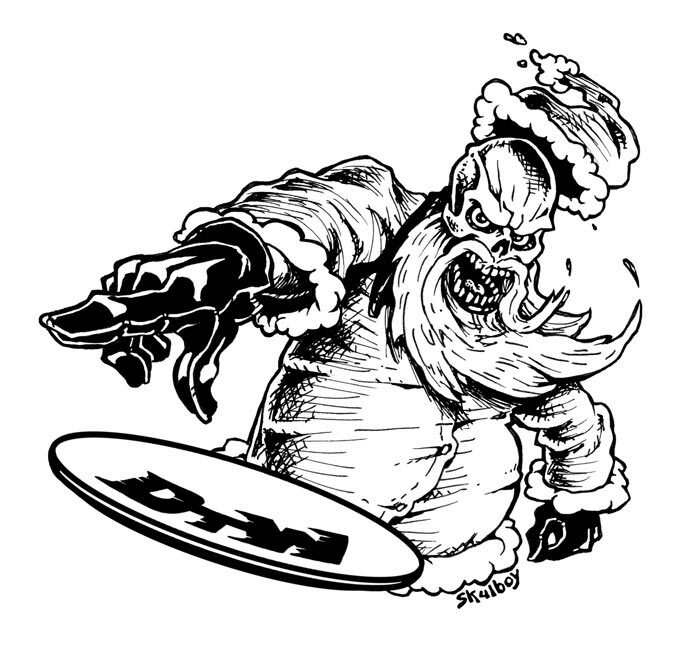 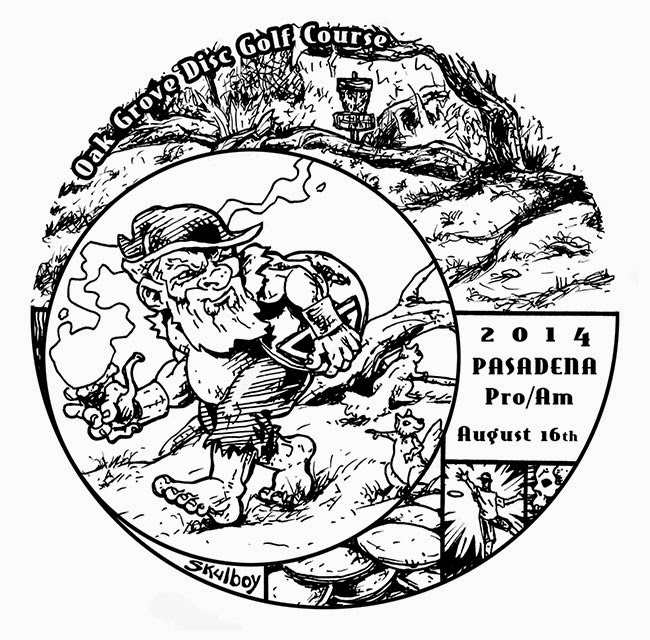 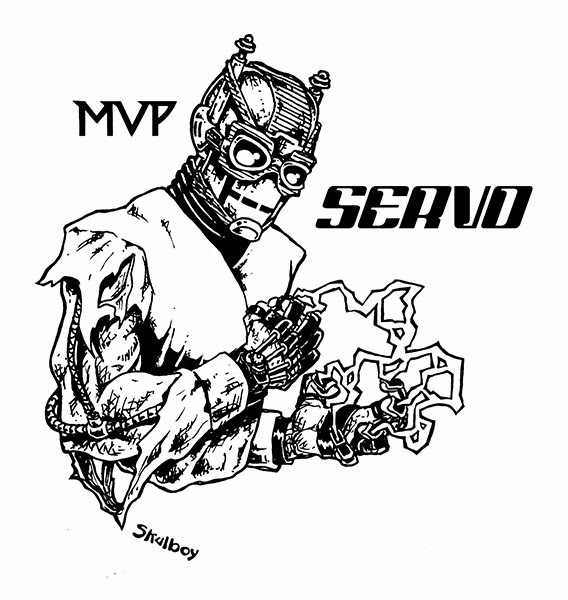 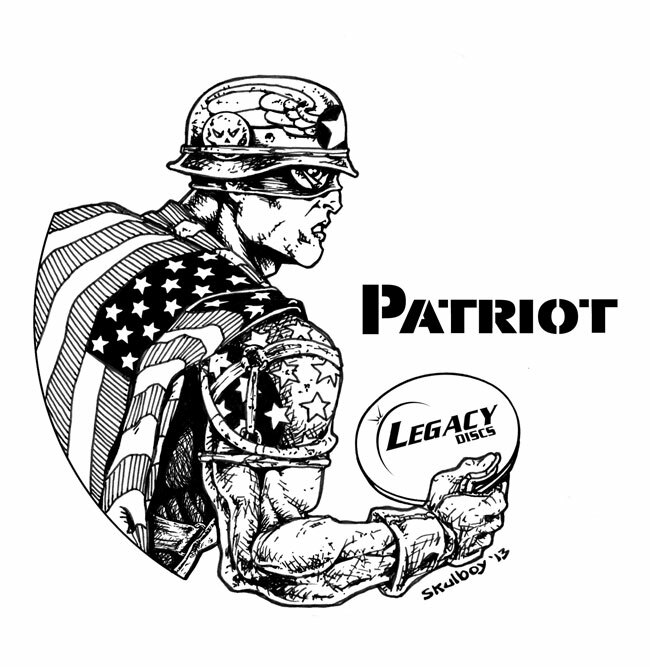 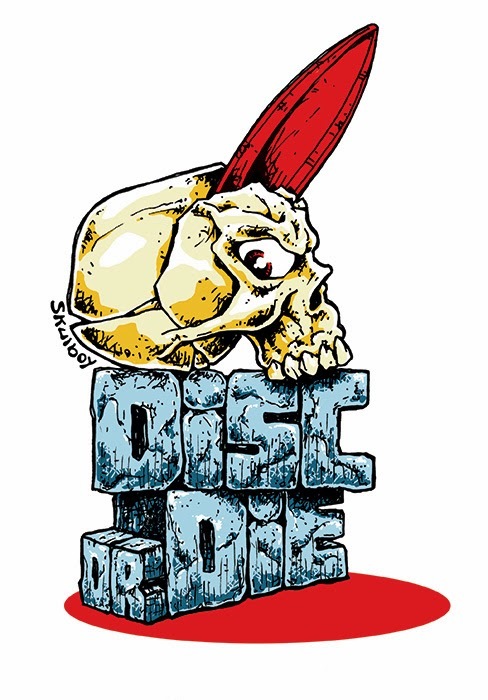 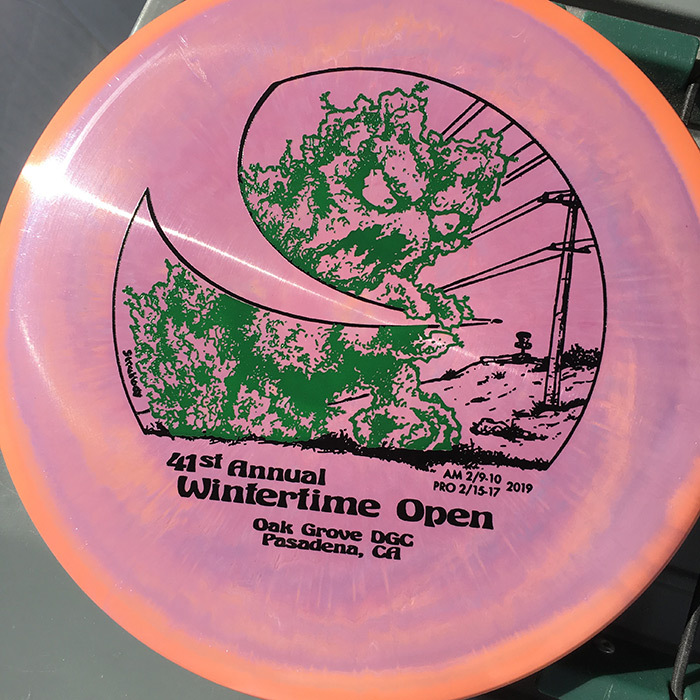 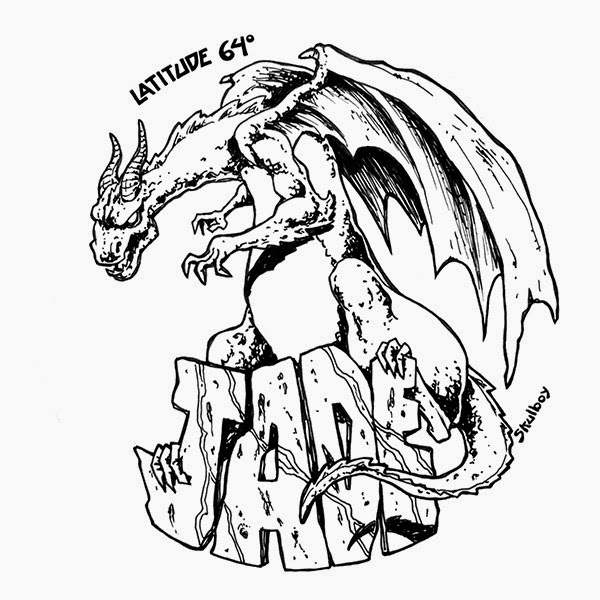 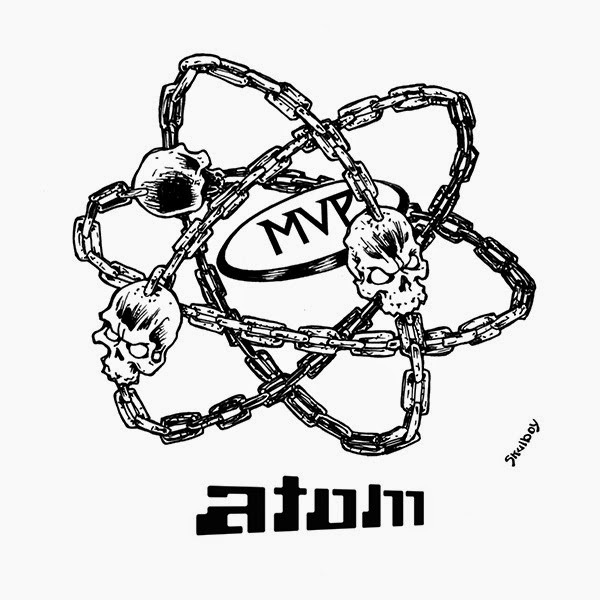 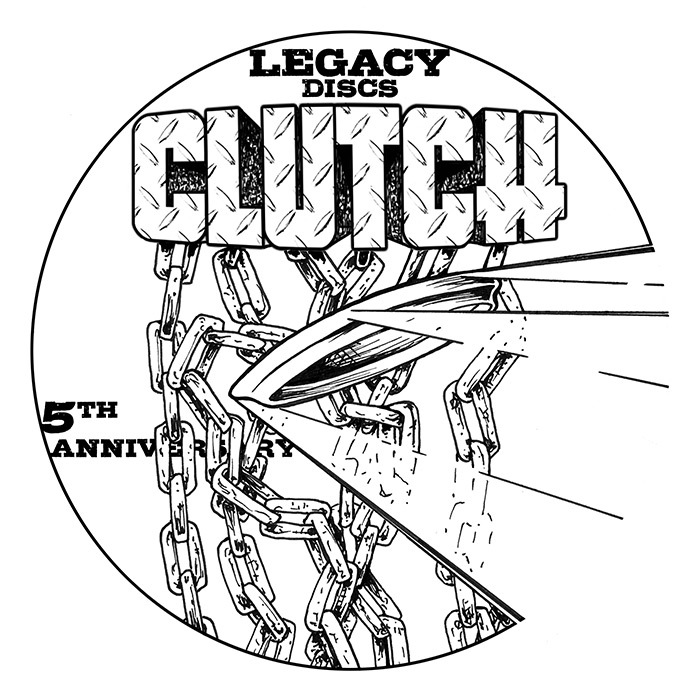 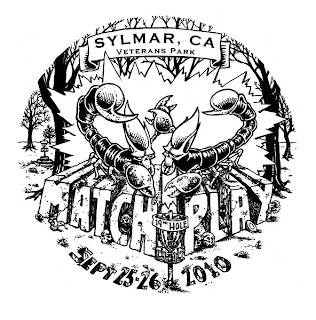 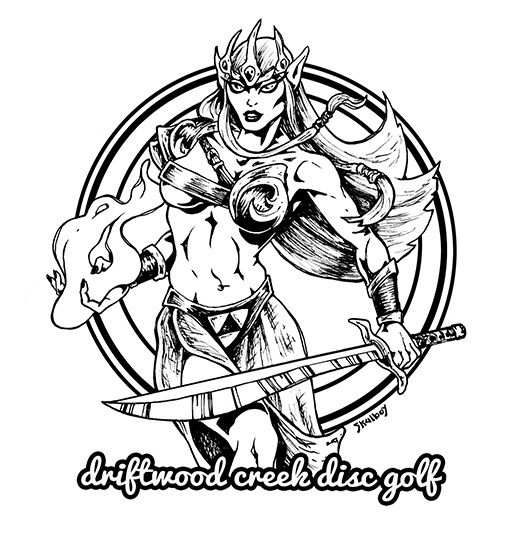 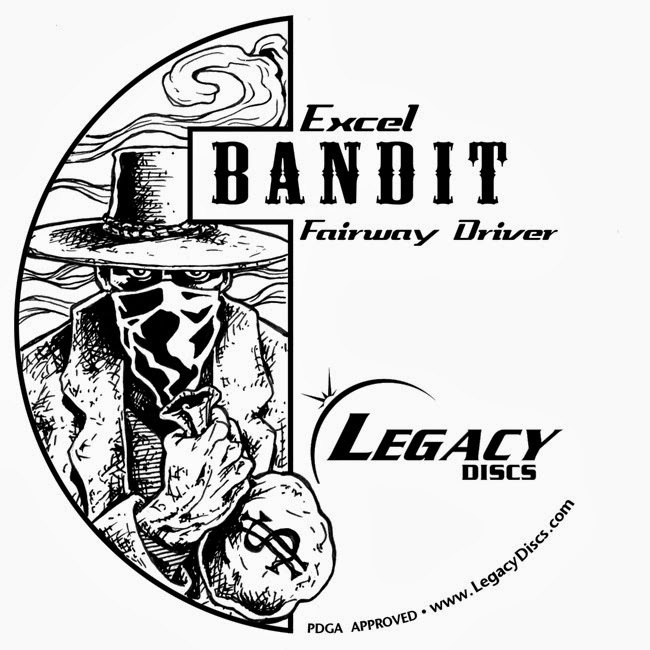 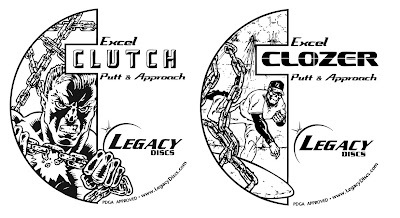 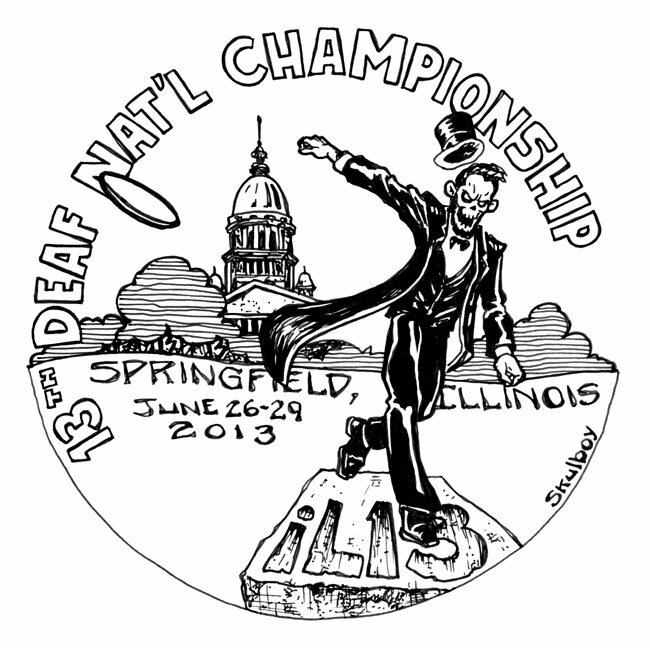 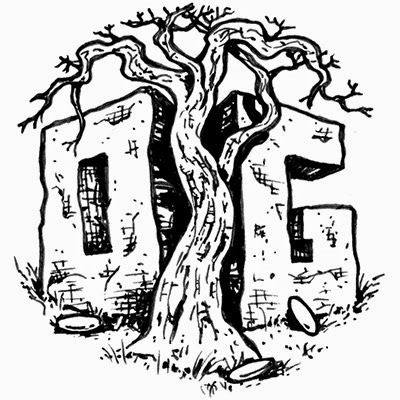 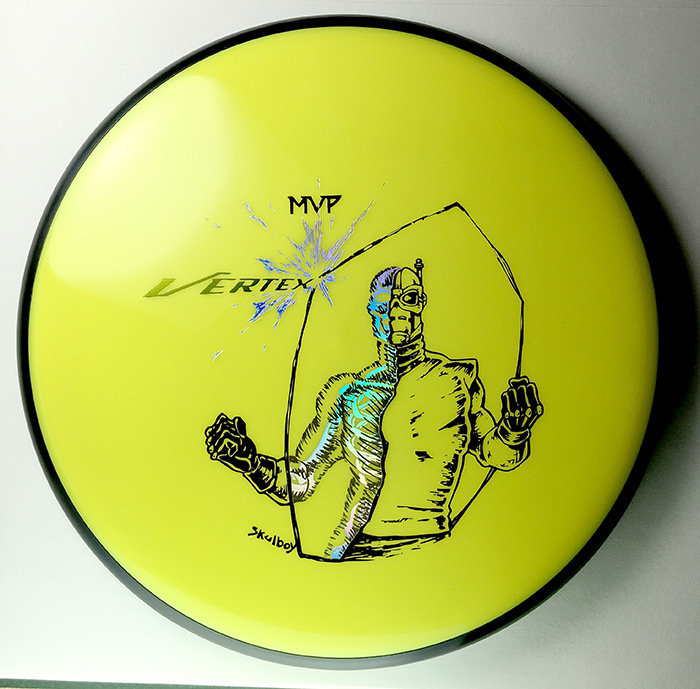 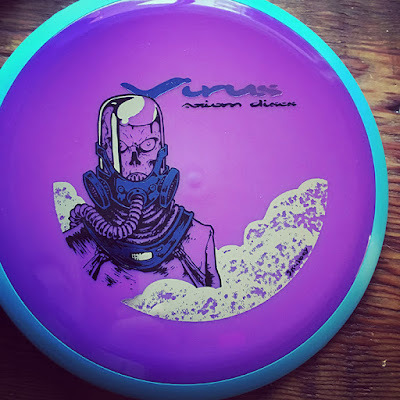 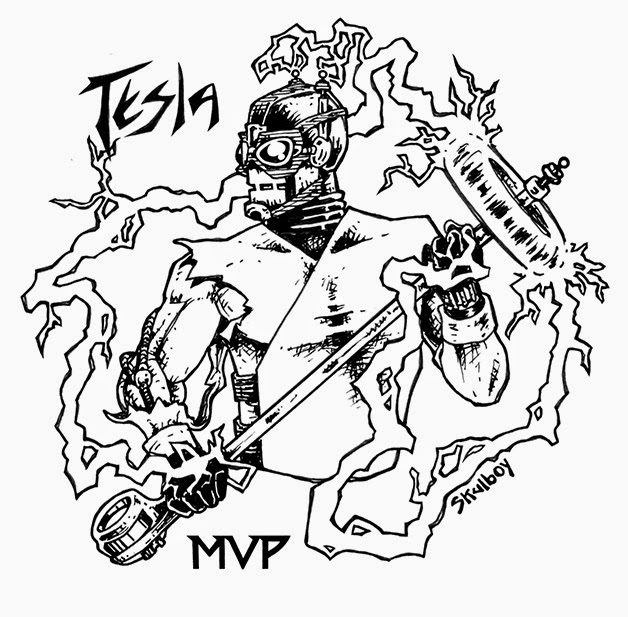 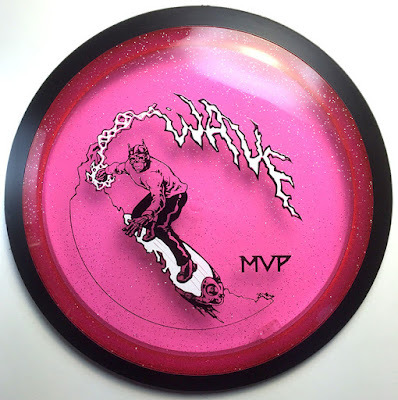 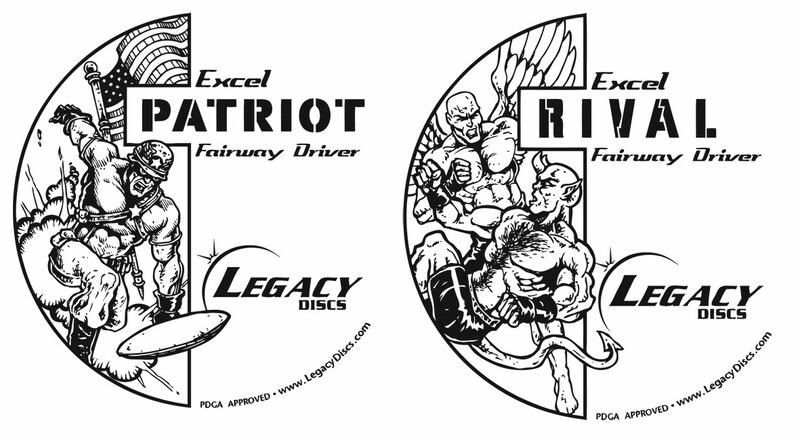 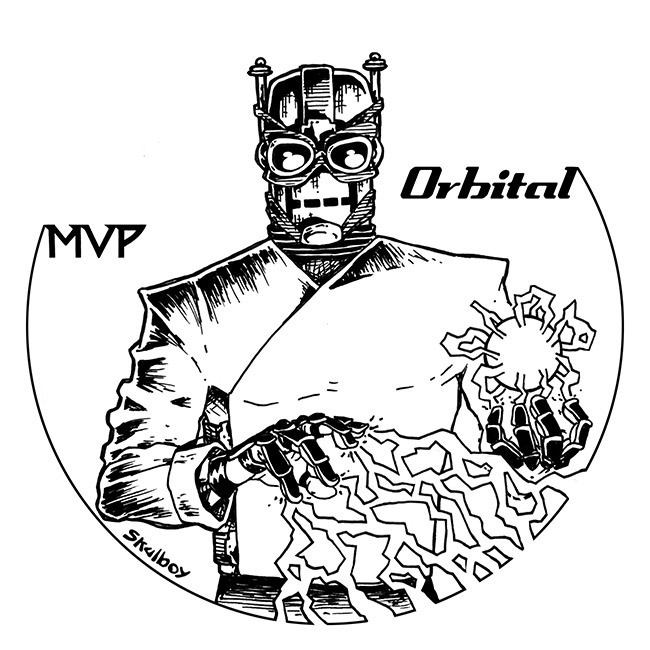 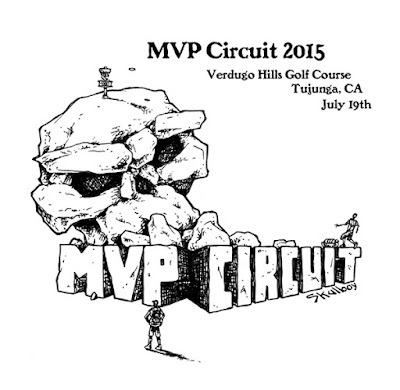 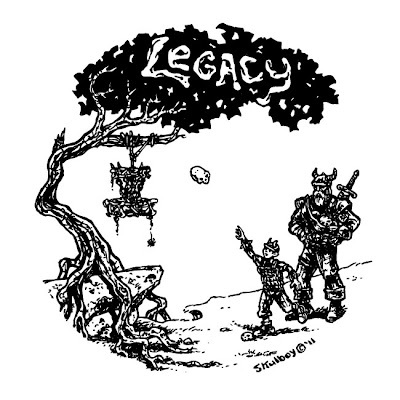 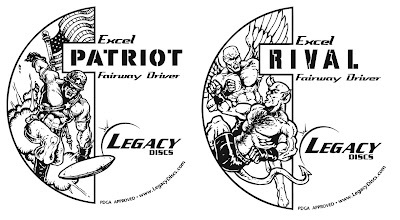 After playing disc golf for close to 30 years, I finally left my mark on the sport when this graphic was printed on a fundraiser disc and then later hot stamped on the tournament disc.